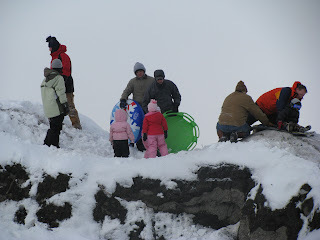 Matt, Dano and Kids: SleDdINg! There was so much snow while we were in Utah that the kids spent as much time outside as they did in. 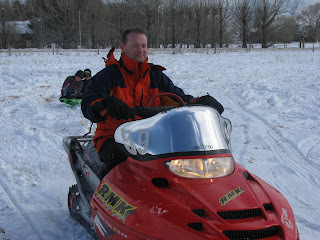 The great thing about where Matt and I grew up is that there is plenty of open fields that are great for SLEDDING! 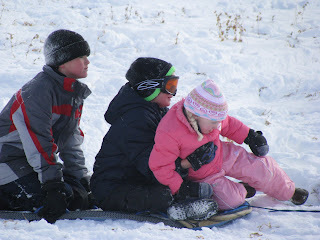 The kids spent days outside with cousins and friends sledding and ridding on the snowmobiles and four wheelers!